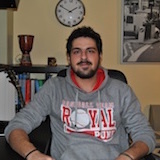 Pavlos joined the NuSTRAP group in 2013 as a senior Physics student. For his BSc thesis he has performed a series of RBS and NRA measurements on specially designed materials and thin films, working at the Tandem Lab of NCSR "Demokritos". 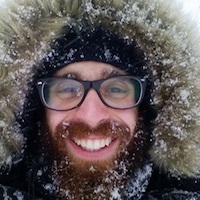 As a graduate student at the Department of Nuclear & Particle Physics, Pavlos is collaborating with the Institute of Nuclear Technology of NCSR "Demokritos" to apply ion-beam techniques in studying next-generation materials for the plasma-confinemnt chamber of next-gen ITER fusion reactor. Ioannis received his BSc in Geology from the University of Patras, working on "Asbestos Minerals occurring in aggregates of Ophiolitic rock" for his senior thesis. 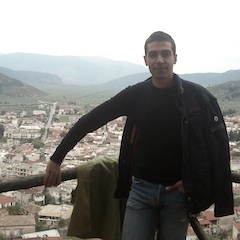 Ioannis finished his MSc thesis on "Actinide Mineral-Chemistry in Sedimentary Rocks of Western Greece" in 2013. He is involved in investigations of applied mineralogy, geochemistry, actinide science and nuclear wastes. He is also interested in Synchrotron Radiation Applications for Environmental Studies, receiving training at ANKA Facility, KIT. 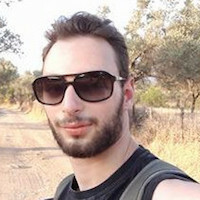 Ioannis is now a PhD candidate in the Radiochemistry Lab at AUTh, recently receiving a prestigious grant to investigate uranium waste in Germany in collaboration with the Heidelberg Group. Born in 1995, Patroklos is in his senior year of his undergraduate studies. His main research interests lie in nuclear energy and properties of fusion and fission, nucleosynthesis, experimental setups of the aforementioned, as well as theoretic models concerning elemetal nuclear properties. Language credentials include C2 (Michigan) in English and C1 (Sorbonne) in French. 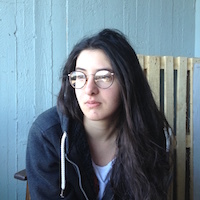 Nike is a Physics student at the University of Athens. She is currently working on her BSc thesis involving Photon Activation Analysis, a versatile nuclear technique for elemental analysis. In this framework she will use a linear accelerator at Agios Savvas hospital and germanium detectors for gamma-ray spectroscopy at INRASTES/NCSR "Demokritos". 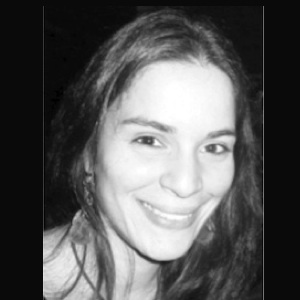 Nike speaks English, French and basic Spanish; she loves travelling, volunteering, exercise and handcrafting. Vasilis Skarlis (aka Bill) was born in Athens in 1995 and is currently in his final year of his undergraduate studies working in his senior thesis. He is captivated by nuclear physics and has recently joined NuSTRAP in order to learn more. He speaks English (Proficiently) and basic French. Bill has good skills on Windows and Linux environments, fairly good knowledge of some programming languages (for example python, C and LaTeX) and basic knowledge of video animation software. Vanessa was born in Athens in 1993. She is a senior student in the Faculty of Geology and Geoenvironment at UoA and currently cooperates with the NuSTRAP group for her Bsc thesis. Her research focuses on the underwater hydrothermal field of the Methana Peninsula using scintillators to perform gamma specroscopy studies. She loves nature and hiking and enjoys being involved in any kind of sports (such as taekwondo, bjj). She also dances rock'n'roll and loves boardgames-RPGs and theater, as she had participated in theatrical groups. 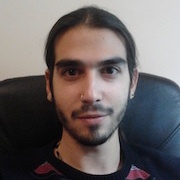 Ioannis Sideris has recently joined the group to work on open nuclear structure questions emerging in fusion evaporation reactions. His work will focus on reaction residues following (p,t) and (p,3He) in fp-shell nuclei. The work is estimated to support future experimental measurements of the group in international labs. Peggy was born in 1993 in Athens and grew up in Aigaleo. She is near completion of her studies at the Department of Physics. She is particularly interested in both experimental Nuclear Physics and Medical Physics, targeting a MSc degree in the near future in one of the two scientific fields. She is a book lover, movie-goer and a dedicated Panathinaikos fan. She holds a CPA degree in English. 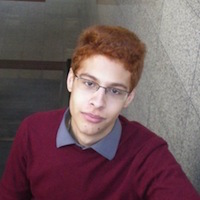 Vassilis Bitzios was born in 1994 in Athens and he has been a student in the Physics Department of University of Athens. For his BSc thesis, Vassilis intends to simulate a prototype gamma spectrometer for marine applications. Options for materials, geometries and crystals have been investigated thoroughly. He is now pursuing a MSc in medical physics. He also likes astronomy and reading. Marilena (Eleni-Marina) Lykiardopoulou was born in 1994 in Kefalonia, where she lived during her childhood. Marilena has recently graduated from the University of Athens, exploring her options to continue her studies to an undergraduate level. Her academic interests focus on nuclear structure, as a cornerstone for understanding the world we live in, and also as an asset for new technological applications that may improve our lives. She speaks greek, english (proficiency) and french (Delf B2). In her spare time, she enjoys literature and texts of philosophy. Angelos Babounis has been a member of our group till very recently. He has graduated from the Physics Department working on a BSc thesis that focused on the analysis of nuclear astrophysics experimental data. He has measured the radiative proton capture in silver nuclei and is now looking forward to continuing his studies to a MSc degree. Besides his physics interests he is a semi-pro soccer player. 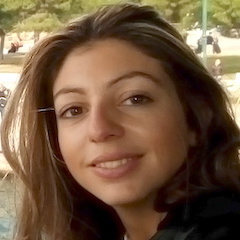 Efthimis Kouvaris (b.1990) has graduated from the Physics Department. He worked with our group on chracterizing gamma-radiation detectors. For his thesis, he tested and calibrated a new spectroscopic station for radiation measurements in environmental samples. He speaks english (First Certificate) and german (Grundstufe). In his spare time he likes painting and playing the guitar. 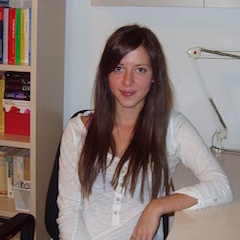 Vaso Angelopoulou was born in Kalamata in 1990. She graduated from the Physics Department in 2015. She has worked on her BSc thesis focusing on studying detailed characteristics of a HPGe detector, both efficiency and crystal-geometry related. She has been an ERASMUS exchange student at Uni. Bonn, Germany. She is interested in Medical Physics, Nuclear and Particle Physics at both experimental and theoretical level. She is a volunteer tutor at the Ilissia Community Recitation School, studies dancing and singing. She likes traveling and meeting new people. Christina Katsiva (b. 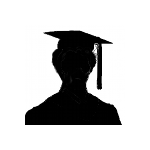 1992, Athens) has joined the group as a senior Physics student in 2014. She was especially interested in radiation effects on humans, therefore she had taken over the task to estimate the risk to the population of Athens, a megacity of 5 million, by NORM levels measured in its grounds and surrounding areas. She is now pursuing a MSc degree in Medical Physics. Chara Chroni worked on environmental applications of synchrotron radiation, as a member of the NUSTRAP collaboration. She has graduated from the Department of Nuclear & Particle Physics. She has extensive tutoring experience at a professional level (over 15 years). She is a mother of two girls (plus one on the way! ), speaks good english and has basic knowledge of french and italian. Eleni Mitsi was born in 1988. She has graduated from "Protypo Lykeio Athinon" with a grade of 19.2/20. Her curiosity about how the world runs led her to the Department of Physics in 2006. Since 2007 she's been working part time as a physics tutor. Throughout her occupation with physics she came to realize that the experimental application of science fascinates her, therefore her bachelor thesis is about experimental data and processes at the microscale, studied by synchrotron radiation. Apart from science, She is enchanted by art, especially by theatre, therefore she participates in a theatrical group and she dances tango. She also loves rowing and learning new languages; She speaks English, German and a few French and wishes to learn Chinese. Alexis Karailias was born in Amfissa in 1984. 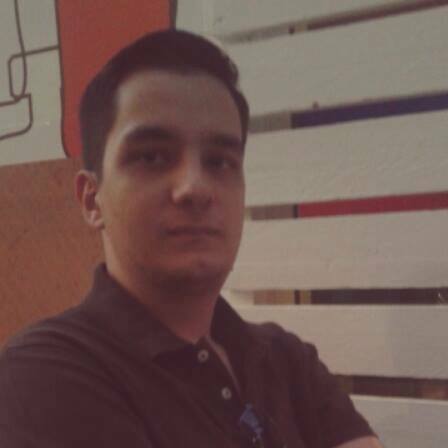 He has recently completed his studies at the Physics Department of the University of Athens (09.2014). Alexis worked on setting up and calibrating portable radioactivity monitors, based on NaI scintillators. At a second stage, he conducted detailed investigations of NORM levels near Athens with in-situ measurements. 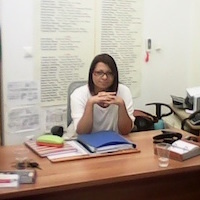 Eirini Pappa is in her last year of studies at the Physics Department. 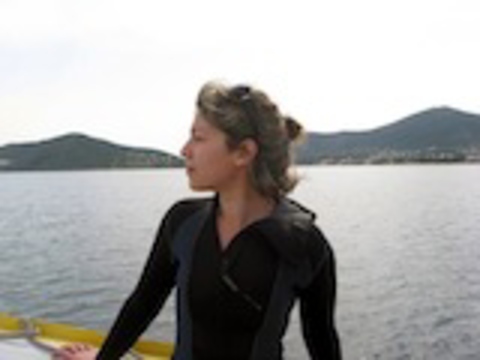 For her BSc thesis, Eirini studied several physical parameters of the active Kolumbo volcano close to Santorini, based on recent data collected by deep-sea ROV. 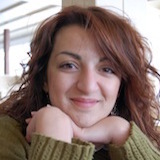 Her experience working with the NuSTRAP people, motivated her further to explore additional research opportunities, collaborating with Dr. Ion Stamatelatos (INRASTES, NCSR Demokritos) on a radiation protection project. She has been a volunteer in NGOs, she plays the harmonica and is a pro tennis player. Thanasis Psaltis was born in 1992 in Athens, Greece. 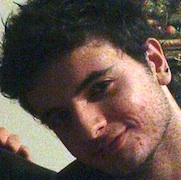 In 2010 he graduated "Mikis Theodorakis" High School at Skala Oropou with a grade of 19.5/20 and started his undergraduate studies in Physics at the University of Athens. His first project with the group was to assist in upgrading the Electromagnetic Moment online database. For this BSc thesis, he conducted measurements of (p,γ) cross sections in astrophysically interesting isotopes. He speaks and writes English and French fluently, has strong skills on Windows environment and is familiar with programming in C, FORTRAN, HTML and Mathematica. Eleftheria Malami is now a Physics graduate from the University of Athens. She has recently completed working on her bachelor thesis that dealt with measurements in nuclear astrophysics systems. 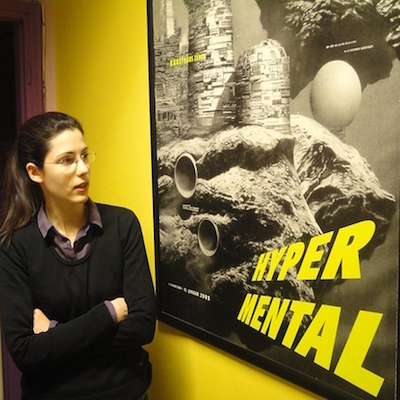 For her work, she conducted experimental work at the Tandem Accelerator Lab at Demokritos in Athens. She is now a graduate student in Netherlands aiming at research on astroparticle physics. Myrto-Eleni Assimakopoulou was born in 1990 in Athens. 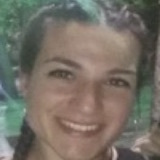 She is a graduate of the American College of Greece (Pierce College, class of 2008) and has been an undergraduate student at the Physics Department of the University of Athens since October of 2008. She has been an Erasmus Program scholar, visiting the Niels Bohr Institute of the University of Copenhagen, in Denmark during 2011. 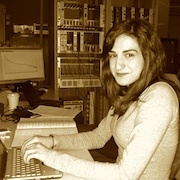 Her bachelor thesis dealt with nuclear astrophysics systems, carrying out measurements at the Tandem Accelerator of the Institute of Nuclear Physics at Demokritos, in Athens. She has recently graduated from KTH, Stockholm with a MSc in nuclear physics, continuing her studies to PhD level in Uppsala. 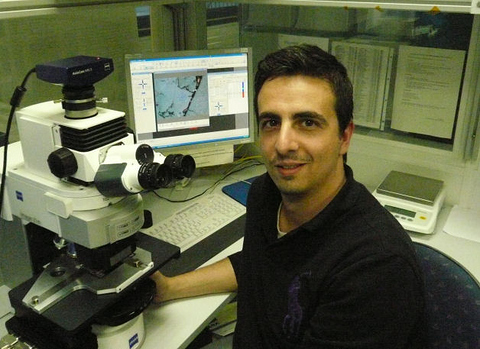 As a senior Physics student at the University of Athens, Nikos worked on studying the Hg toxicity in lagoon ecosystems of western Greece using data taken from X-ray microbeam spectroscopic techiques (XRF/XANES/XAFS) at the ANKA synchrotron in Germany. He works part-time as a physics tutor and in his free time, he plays the drums in a band and has basic skills in sound recording and digital mixing. Nikos has graduated from the Medical Physics and Radiation Protection MSc program and is pursuing a professional career in the field. Ioannis Ioannidis was born in Larisa in 1990 and lives in Athens since 2008. He has recently graduated from the Physics Department. His senior thesis dealt with the "Depth distribution of radiocesium and natural radioisotopes in soils of Northern Greece". For his project he has performed gamma spectroscopy measurements. He has recently graduated from the Medical Physics and Radiation Protection MSc program. 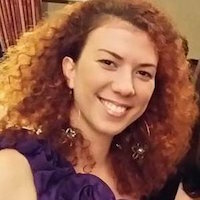 Nikoleta Hatzikonstantinou graduated from the Physics Department and is now a graduate student ("Mathematics in Business Management"). 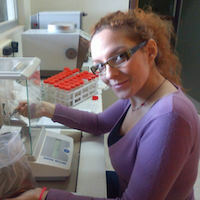 She was actively involved in the analysis of iron particulates deposited on southeast Mediterranean Sea and mainland of Greece by the waves of Saharan dust. She focused on data collected with advanced X-ray spectroscopy techniques combined to ultrabright synchrotron microbeams provided by the SUL-X line at ANKA/KIT. Kostas Stamou was born in Athens, Greece in 1987. 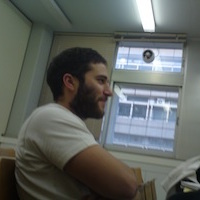 He is a senior Physics student at the University of Athens. He has completed his graduation project in Medical Physics, which involved the periodic study and quality control of the photon beam linear accelerator in radiotherapy at the anticancer hospital "Agios Savvas" in Athens. He is currently involved in the expansion, automation and upgrade of the electromagnetic moments database. He has also professional experience as an Administrator in Linux and Windows Servers. He has recently graduated from Aberdeen, now pursuing a PhD in Medical Physics at the Academy of Athens.